Belgian Burqa Ban Takes Effect — Who’s Next? 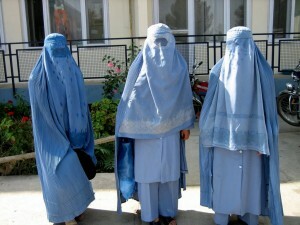 You are at:Home»Featured»Belgian Burqa Ban Takes Effect — Who’s Next? B elgium follows France, the first Western nation to banish face coverings from its streets. 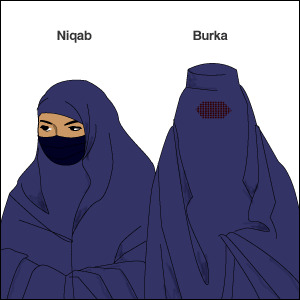 Like the French law that took effect on April 11, Belgium’s is broad in nature, applying to virtually all public spaces and making no specific mention of burqas or niqabs, despite having been inspired by their proliferation. Unlike the French law, Belgium’s includes jail time among the penalties for wearers and introduces no new punishments for strong-arming others to conceal themselves. Finally, an important lesson is conveyed by the Belgian law going into effect just hours after anti-Islamic terrorist Anders Behring Breivik murdered dozens of Norwegians on July 22. In his manifesto, Breivik rejects “illusions of democratic change” and argues that only revolutionary violence can thwart the Islamization of the West. He is wrong — and the steady legislative march to proscribe criminal-enabling and female-subjugating Islamist attire proves it. I know of Belgian beer but not burqas. the slits on the side.